The IAAI Motor Vehicle Fire Investigation 3 day course consists of 24 hours of tested instruction in determining origin and cause of motor vehicles fires, and culminates in an investigation of a live burn vehicle fire scenario. Based on Chapter 27 of NFPA 921, topics will include vehicle investigation safety, fuel packages, ignition sources, and vehicle systems and identification. Included in the instruction is a live electrical demonstration showing how fuses, fusible links and relays work, as well as real time failures such as overloads and shorts. Utilizing the team concept, students will have the opportunity to investigate a live burn, construct a report, and present their findings to the class. 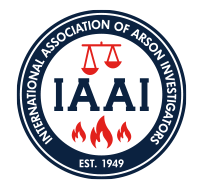 The IAAI Motor Vehicle Fire Investigation 3 day course satisfies the Specialized Training Requirement of the IAAI Motor Vehicle Fire Credential Endorsement program. Hosts for this class must provide a training facility conducive to the size of the class expected, and audio visual equipment that supports class size and a PowerPoint presentation. Additionally, they must provide an area suitable for burning vehicles to be used in the instruction. They must procure, site, and dispose of enough vehicle to support the class, as well as coordinate suppression for the actual burns. IAAI Training will discuss these issues with you when scheduling the class.